The Severed Streets is the second book in a new series which began with London Falling. You could describe this series as a darker, grittier sibling to Ben Aaronovitch's Peter Grant novels: Paul Cornell's London is also full of magic, but bereft of humour and warmth. There is something mischievous and a little transgressive about this aspect of the book, but also just a tiny bit frustrating. Paul Cornell's Neil Gaiman talks about similar sorts of things as the real one (stories, Neverwhere, bees), but he does not quite sound like real Neil, or perhaps the opposite - perhaps he sounded a bit too matter-of-fact and authentic, and I sort of expected something a little grander. 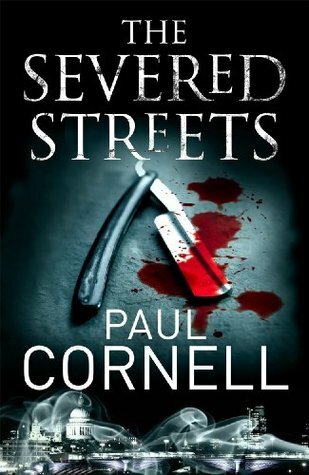 OK, Neil Gaiman out of the way, the Severed Streets is a grim dark, horror-filled urban fantasy. The Smiling Man continues to be behind things, and the attacker eviscerates quite a few people using the riots for cover (wearing a protester's mask, rising from crowds & flying off, invisible to those without The Sight), while two of our police officers are obsessed with their own problems - getting a father out of hell, and trying to avoid going to hell, respectively. There are some betrayals, some schemes, a lot of individual actions - basically, if our team finally learnt to work as a team in book one, they are now again working quite independently and with serious obstacles to fully trusting and sharing information with each other. They keep running off without telling any of the others what they're up to. The book may spill more blood than the first, but is a less gruelling read: this time, no children get boiled alive, and while there's plenty castrations, the horror is less emotional than it was in London Falling. There's a lot of work in creating something uncanny, but it feels a little uncanny-by-the-numbers. If it's ever turned into a movie, I think Terry Gilliam should direct it. 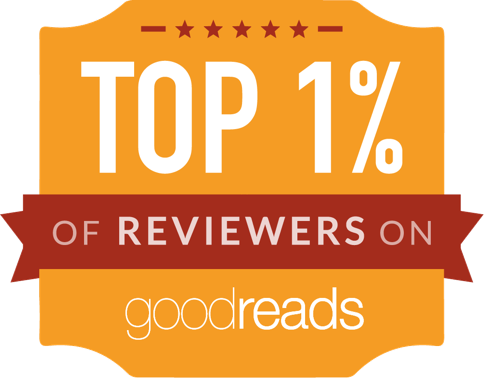 The Severed Streets is an engrossing read, relentlessly grim, with a few emotional gut-punches, but none that equal those surprises that made the first book so harrowing towards its finale. The series is definitely worth a look for people who like urban fantasy, but not perhaps the series of choice if you're in the mood for something cheery and light. While The Severed Streets does explain and sum up some of the key events from the first book, I doubt it works very well as a standalone - start with London Falling if you have not read that yet. Huh. I'm curious about the Gaiman cameo now!